Well it’s done, my Ultra Racing front strut bar and the rear anti-role bar are in. I have put this step-by-step install together so you can do it at home. I would like to say thanks to the team at Ultra Racing for their support. Two thumbs up on your great products! Take your time and don’t rush, lie out your parts and plan to take one to two hours. There will be times where a second set of hands will come in very handy, so plan. 1. 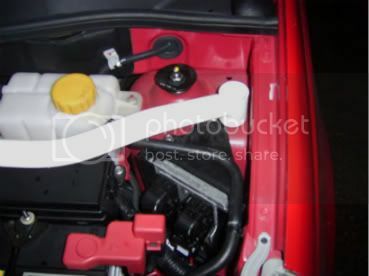 Place the strut bar over the locating holes that are already in your strut housing. You will see that they mate up nicely. 2. 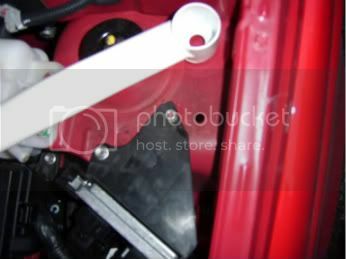 On the driver side you will see that a plastic bracket is not letting the strut bar seat flush with the housing. You will need to make the bracket, I used a grease pencil where I needed to grind away. 3. Unbolt the bracket and carefully grind away the area you marked. 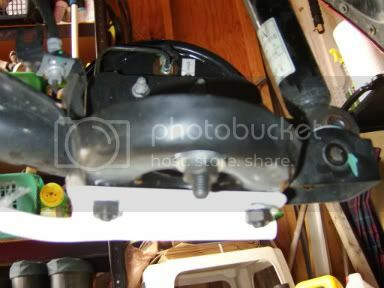 Place the bracket back in place, but do not tighten down. 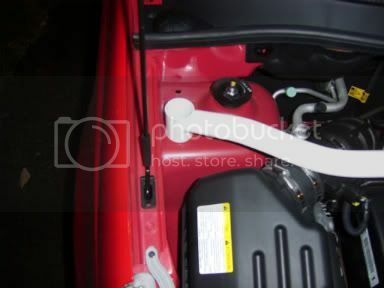 Test fit the strut bar to see if it seats flush. If everything fits then bolt the bracket down tightly. 4. Ok this is where you are going to need a second set of hands and it helps if they’re small. 5. Take a supplied bolt and washer and reach up your wheel-well. 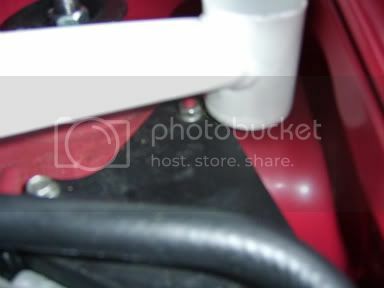 By just using feel slide the bolt through the mounting hole in your strut tower. 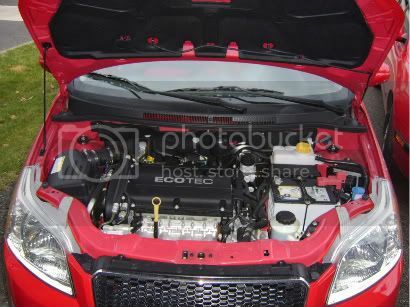 The second person will place the Strut bar over the bolt you are holding in place and carefully place a nut over the bolt. This is where small fingers will help, it’s a tight fit where the nut goes. 6. Hand tighten only, repeat step #6 for other side. 7. Tighten down the nuts and wipe clean, job is done. 1. Take your time and don’t rush, lie out your parts and plan to take two to three hours. You are going to need a spring compressor, jack-stands and a jack for this job. 2. 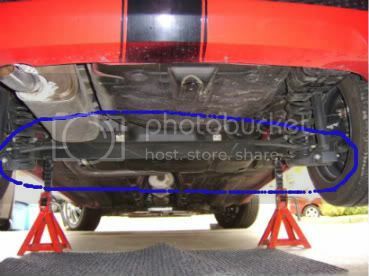 Jack up the rear of the car and place one jack-stand on either side of the body, us the factory recommended positions. Give your self a comfortable working height. 3. Pull off both rear wheels. 4. 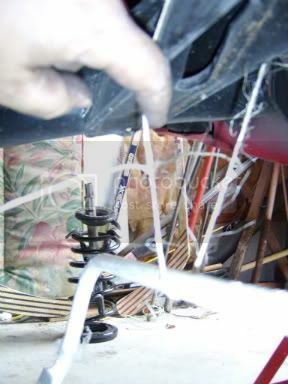 Using a spring compressor, compress the rear spring on one side. 5. 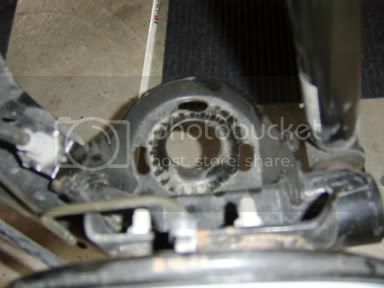 Remove the bolt that holds the rear shock in place, this will allow the rear end to drop. 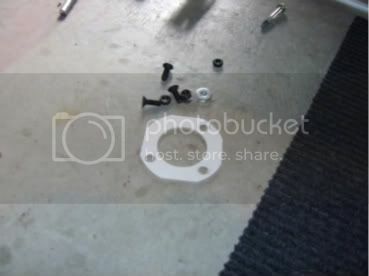 Gently remove the spring and rubber mounts. 6. 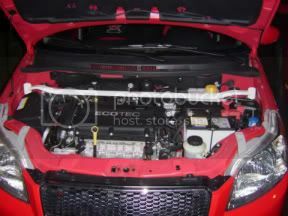 Place in the mounting ring and bolts that are supplied. 7. Take the Anti-role bar and tie it to the underside of the rail. This will help support the Bar and make it easier to mount. 8. Hand tighten the bar to the mounting bolts, this will align the mounting bracket. 9. Tighten down the free third bolt on the mounting ring to hold it in place and then remove the bar again. (it will be in the way when mounting the spring back in. 10. 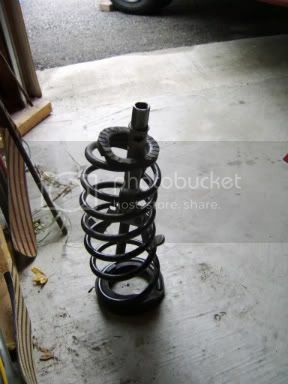 Replace the rear spring and reattach the shock first, before decompressing the spring. 11. Now swing over to the other side and repeat steps 4 through 10. 12. 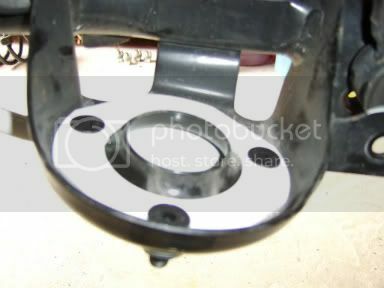 Attach the Anti-role bar to the mounting bolts on either side, hand tighten only. If everything mates up (which it should), go a head and tighten. So that’s pretty well it for the install. I hope this will help you out. 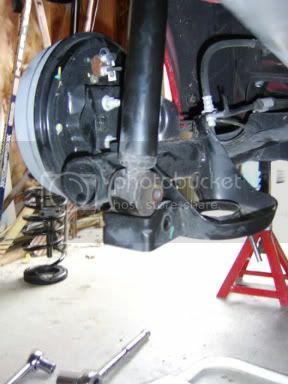 install time will cut in half when your working on both sides at the same time for the rear sway bar. 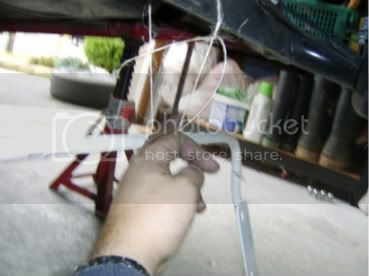 I also used some extra washers for the front strut bar vs. cutting away at the mentioned bracket. the washer filled the gap nicely and the bar sits on top of it all. Very nice install, its good to see write ups like this. I know it really helps other folks out. Great write up mate. 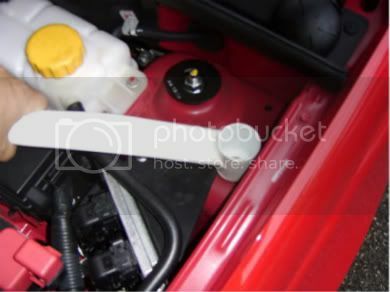 I've been looking at the front strut bar myself and I will definitely come back to this post for help. You have made me more anxious to get this for my car. See what you have done? Just installed the rear sway bar (UltraRacingUSA was out when they shipped the other three so it came in later when it shipped from Malaysia). Didn't get to drive it around too much, just a little bit, and it does feel a little stiffer. Compliments the rest of the suspension nice. One thing I'd like to add, if you have lowering springs, which are quite a bit shorter than stock (a few inches) you can get away without compressing the springs. 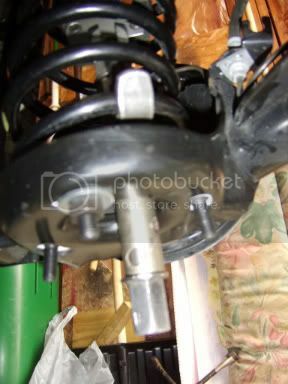 After you disconnect the shocks, it drops maybe another inch before they fall out completely, so you can install the bar, tighten all the bolts in place (since the only reason you take the bar back off after installing the mounting plates is to decompress the springs). The install went without any hick-ups or anything. This write up was helpful too. And having a second set of hands to finger-tighten both sides simultaneously was a good advice. Is there a reason they only use one of the bolt holes per side on the front bar? I would think it would be better to use both available holes. Can’t really say, but it probably didn’t need the extra strength. 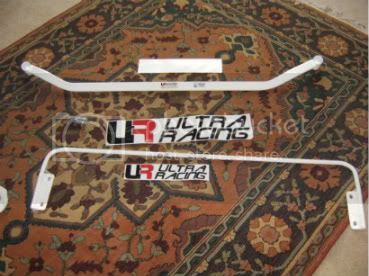 I just got the full set of four ultra racing bars in yesterday. I'm missing some parts, probably lost in customs but working on finding them. 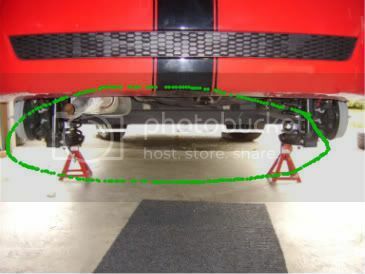 This how-to was very helpful in installing the front bar, and helped me realize I was missing parts. Thanks. can anyone post a picture of the front bottom 4 point bar installed, and does that need bolts or use existing ones? I haven't looked it over yet, but I'm hoping to get it today.